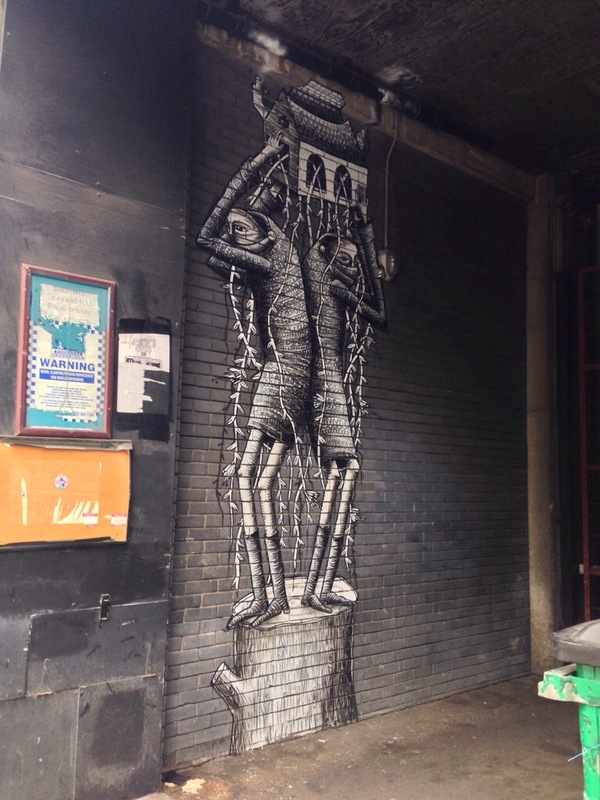 Here is another impressive Phlegm piece which I found during my swift visit in London. 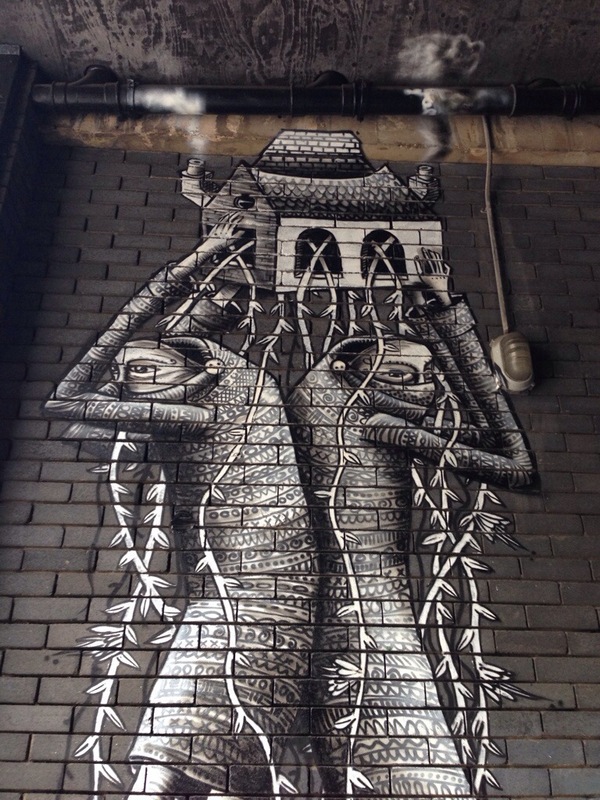 The piece took a lot longer than expected to find as I was looking in totally the wrong direction, as usual.. The piece was rather tricky to photograph due to their been not much space. 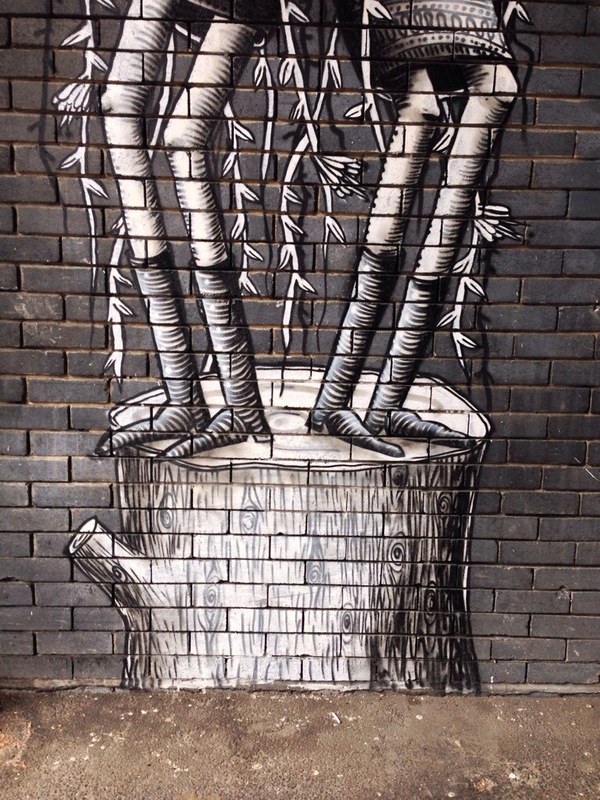 It’s really similar to the ‘Isolated Together’ piece by Phlegm here in Sheffield.